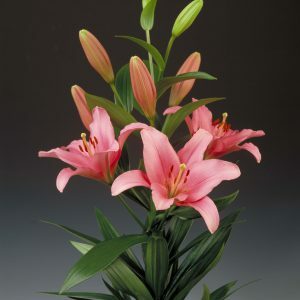 Deep medium pink lily with a white, speckled throat . 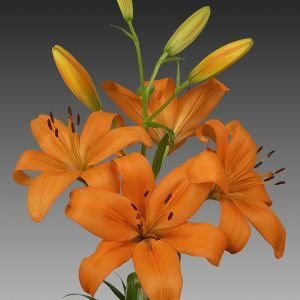 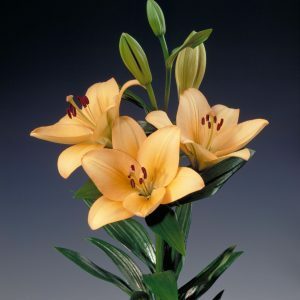 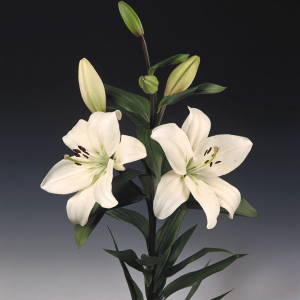 Asiatic and Longiflorum lily crosses have large flowers, strong stems, and longer than average vase life. 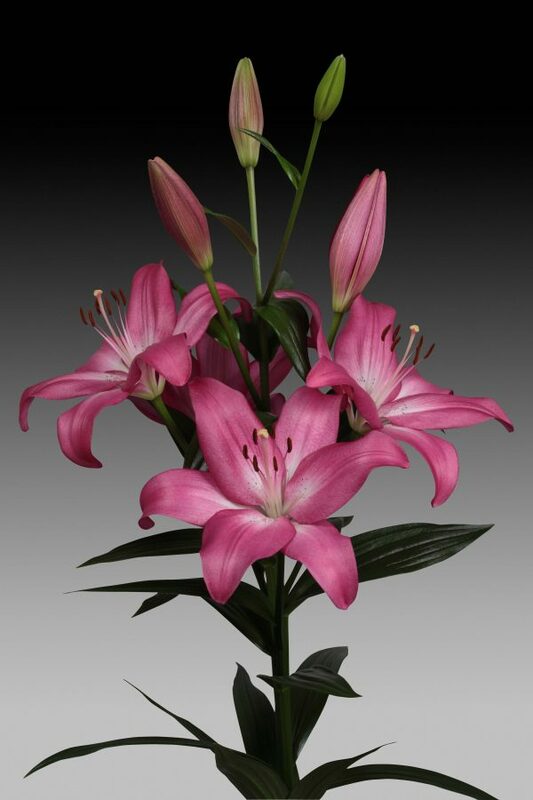 3 plus bloom stem , glossy dark green leaves.